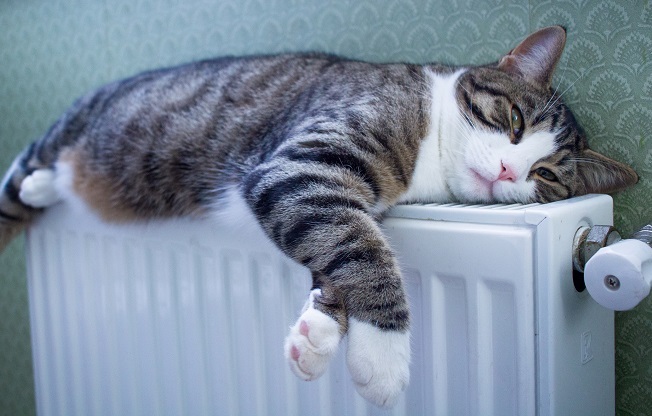 Heating accounts for more than 70% of household energy consumption in the UK. The best ways to keep your house warm without turning the heating on will save you money, but you will also be helping the environment by reducing carbon emissions. This recent study highlights the rising cost of energy and why you should be looking at alternatives. But you don’t always have to switch the heating on at home to get warm again. There are plenty of other solutions when it comes to keeping your house warm in the winter months that you should make sure you have thought about before putting your heating bill up. We have put together a guide on the best ways to keep your house warm without breaking the bank. Another way that you can save quickly on your heating costs is by using timers on all of your central heating. Making sure that you use timers for your central heating is one of the best ways to keep your house warm. Timing your central heating to come on just before you need it is actually much more effective than simply turning the heating right up at the last minute. Setting your heating to come on at a certain temperature means your home will gradually get warmer and reach that heat. It takes some time for the heating to warm up so give enough time in advance. Also, make sure the heating is timed to switch off when nobody is at home. You should also consider whether or not your radiators are free from obstruction and whether or not they are giving out enough heat. Radiators should always be free from obstruction where possible, as this will reduce the amount of heat they are able to radiate into the room. Many people still use radiator covers and these can help to circulate heat in some cases. However, placing items on top of your cover is counter productive and can stop heat being evenly distributed. You should also ensure that you don’t have sofas or any furniture in front of your radiators where possible. These are some of the best ways to keep your house warm, but there are of course plenty of different things that you can do to reduce heat loss. For instance, use draught excluders around your home to stop heat escaping your rooms. Consider turning your dial down, as just 1°C difference could save you up to 10% off your heating bill.